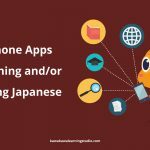 Whether you are learning Japanese as a second language or you speak it already, adding a Japanese keyboard to your smartphone is a must. Why do I need to type Japanese Characters? 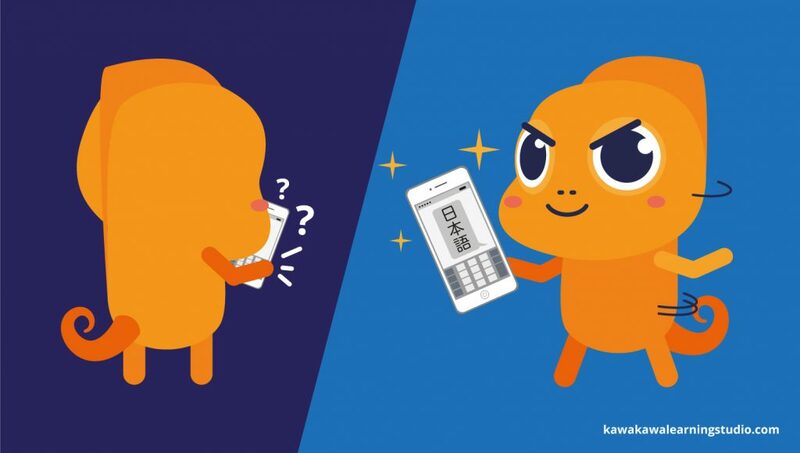 This article discusses typing in Japanese for iPhone and Android, but if you have a different type of phone and you need assistance, please do not hesitate to leave us a comment and we’ll help you figure it out! 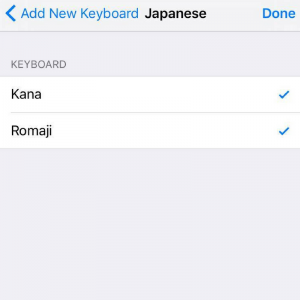 Because Japanese uses three writing systems (hiragana, katakana, and kanji), you have the option on both the Kana- and the Romaji-style keyboards of changing a word to katakana or kanji once you have typed it in the default hiragana. 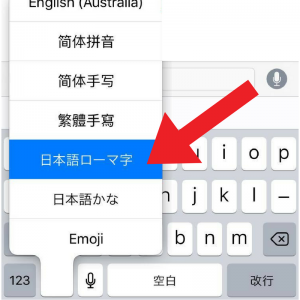 Your phone will bring up kanji and/or katakana suggestions along the top of the keyboard, and you can select one, scroll the suggestions to the left to see other suggestions, or simply press enter if you want the word to stay in hiragana. 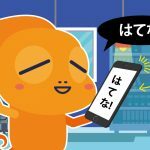 You can do phrases this way as well, but with longer phrases, the phone may not guess all of the kanji correctly, and you may need to correct a few words manually. Be especially mindful of homophones! If two words are written with the same hiragana but different kanji, you may end up typing “I went to see a rock” when you meant to say “I went to see a doctor”! I am basing these instructions off of my own experiences with an iPhone 6s, but the steps should be more or less the same for older or newer iPhones. 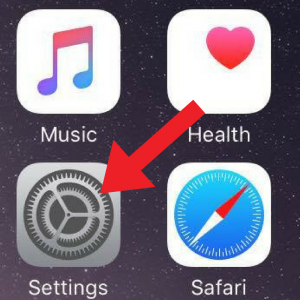 1) Begin on your home screen, and open your Settings app. 4) Once on the Keyboards screen, select “Keyboards” again. 5) Select “Add New Keyboard” at the bottom of the screen. At this point, you will be given the option of a Kana keyboard and a Romaji keyboard. You can opt to turn on just one of the two, or both (see below for how to use each one). 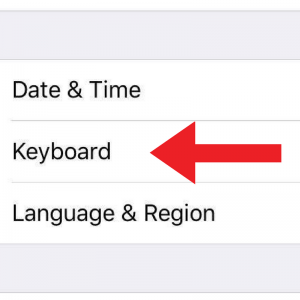 To switch from English to one of your new Japanese keyboards, press and hold the button that looks like a globe made of wires (left of the speech-to-text microphone button), then scroll up to your keyboard of choice without lifting your finger from the screen. The Kana keyboard will allow you to type directly in hiragana, and has 10 letter keys plus a punctuation key and an emoji key. 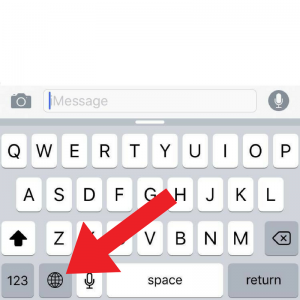 It also has buttons for voice-to-text, backspace, space, and enter. The enter key reads 改行, and the space key reads 空白. Typing on the Kana keyboard is similar to typing on a flip-phone: each letter key has three or more letters “inside” it, each of which can be selected either by tapping the key rapidly to cycle through the letters or by holding the key down to bring up the options visually and then sliding your finger to your letter of choice. The letter keys are arranged by consonant (similarly to how hiragana charts are organized), so tapping the か key will bring up か, き, く,け, and こ. If the tapping option is not working, it means you have “Flick Only” turned on. 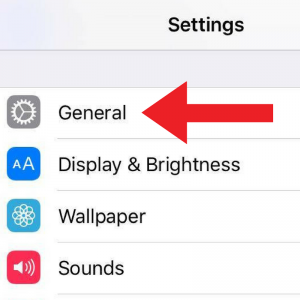 To turn it off, go back to Settings, select General, select Keyboard, then scroll all the way down to locate the on/off switch. I am basing these instructions off of my own experiences with a Samsung Galaxy S7, but the steps should be relatively similar for other Android phones. If any part of the steps are not working for you, please leave us a comment, and we’ll try to help! 1) Begin on your home screen, and select your Apps. 2) Open your Settings app. 3) Scroll to the right and select the System tab. At this point, you may need to download Japanese through the Android store. If the download button located next to the language does not work, you can try the update button. 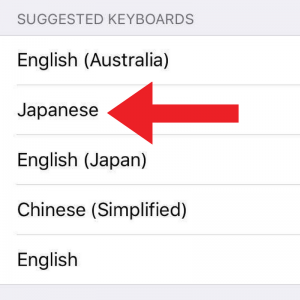 If Japanese is already downloaded to your phone, it will be in “Downloaded Languages.” Depending on your phone, Japanese may be listed as “Japanese,” but it may also be listed in kanji as日本語 (Nihongo). In the latter case, it may be with other languages beginning with N, or it may be at the bottom of the language list with other languages which use non-English letters. Your final step once Japanese is in your Downloaded Languages is to turn the language “on” by flipping the switch next to it. To switch from English to one of your new Japanese keyboards, hold down the space bar and scroll. Romaji keyboards look essentially identical to an English keyboard. One of the only differences is that, as with the Kana keyboard, the enter and space buttons read 改行 and空白, respectively. One thing to keep in mind when typing in Romaji is that a few letters of the Japanese alphabets need to be spelled in a specific way when typing. For example, depending on the Romanization system you use, the letters づ and ぢcan be written dzu, zu, or du and di or ji respectively. On many smartphone Romaji keyboards, you will need to type them as “du” and “di” to get them to appear. If you are an advanced Japanese student, a native speaker, or work as a translator, you may also want a handwriting keyboard on your phone. Handwriting keyboards allow you to write kanji with your finger or a stylus. 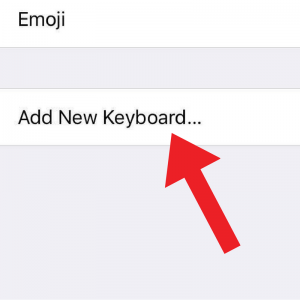 Some dictionary apps and other websites or programs have a built-in handwriting keyboard, but having one as part of your phone keyboard can be useful as well. If your phone does not seem to have a Japanese handwriting keyboard, check to see if it has a Chinese handwriting keyboard and use that instead. 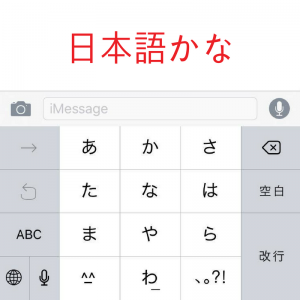 Chinese and Japanese use kanji differently and so you may not be able to use the Chinese handwriting keyboard for some words, but it can be an ok workaround if your phone does not have a Japanese handwriting keyboard available. Chinese may be listed in your phone’s languages as “Chinese” or as 中文. When using handwriting keyboards, always remember: stroke order is of the utmost importance! If you are having trouble defining a word, you can also search for it on Japanese Wikipedia, and then once you have found it see if there is the option to switch the page to English. Because Wikipedia pages are sometimes incorrectly linked to one another, this option must be used with caution; but can still be very useful. 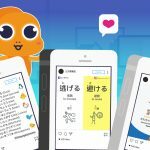 Now you are ready to text, surf, and search on your phone in Japanese. We hope that this tutorial was helpful!